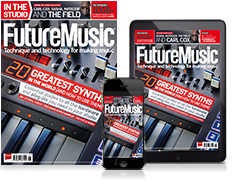 The Future Music/Computer Music/MusicRadar Best in music tech 2018 polls received thousands of votes, and we're now ready to roll out the winners. The nominees were what we considered to be the personalities and gear that have excelled in 2018. Here, we present the best live electronic acts of 2018. 2018 highlight: Holden’s latest album, The Animal Spirits, with his band of the same name, sees him move still further from the restraints of the DJ booth and dancefloor into a freer, more collaborative musical space. All the tracks on the album were recorded live in one take in his West London studio. 2018 highlight: London-based Cooper released his fourth studio album ‘One Billion Sparks’ in September of this year. This came on the back of touring his third studio album ‘Resurgence’ and the 30th edition of the Balance compilations. 2018 highlight: Belfast’s Bicep consists of Andy Ferguson and Matt McBriar. The duo released its ninth extended player ‘Rain’ on Ninja Tune this year. All of this was worked around extensive touring which saw them travel through the US, to Japan and around Europe. 2018 highlight: Hopkins released his latest album Singularity back in May on Domino records and has subsequently played shows to promote it. Singularity has also been nominated for Best Dance/Electronic Album at the 61st Grammy Awards. 2018 highlight: After releasing Re:member earlier this year, Arnalds took his Player Pianos and Stratus system - for which the album was written - out on the road for an extensive touring schedule. After all this, the Icelandic multi-instrumentalist and producer still found time to tease new material in a recent appearance on BBC 6 Music. 2018 highlight: Despite hanging up their torch glasses for the final time back in 2014, it would seem that the Hartnoll brothers just can’t get enough. They announced their return to the fold last year, with sold-out shows at both Manchester and London Apollos. This year the pair followed up with new album entitled ‘Monsters Exist’, which was released on September 14. 2018 highlight: Lost Themes and Lost Themes II, as well as the 2017 compilation Anthology: Movie Themes 1974-1998, were a collection of tracks written alongside John’s son Cody Carpenter and godson Daniel Davies, in which the trio re-recorded a number of Carpenter’s best-known compositions and took them on the road. 2018 highlight: After an extensive teaser campaign that saw AT’s logo daubed on various landmarks around the world, Richard James’ Collapse EP was released and the single ‘T69 Collapse’ has been nominated for multiple awards at the VMAs. 2018 highlight: Over the course of the past decade, Bulgarian producer KiNK has risen to the top of the techno pile by playfully absorbing, tweaking and reworking the tropes of classic four-to-the-floor club music. His creative, hardware-centric live sets are rightly regarded as some of the best in the business too, so much so that he's nearly amassed 100 shows this year already.